Hoffer Flow Controls completed work on a project for Reliance in Jumnagar, India. The scope of the project involved the supply of 57 custody transfer turbine flowmeters along with meter runs, signal conditioners and totalizers. The API Series of custody transfer turbine flowmeters was selected by the user. 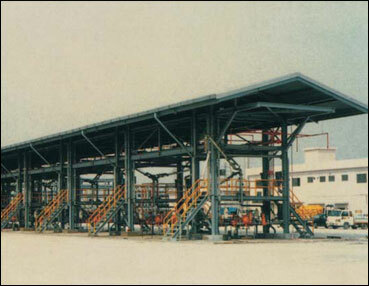 The meter systems supplied will be used for billing purposes at a newly commissioned refinery in Jamnagar. As with all custody transfer flow applications, high accuracy and repeatability were critical issues. The Hoffer API Series of flowmeters provides a repeatability of +/-0.02%. Two different levels of “linearity” are available on the API Series of flowmeters. The standard API Series flowmeter provides for +/-0.25% of reading linearity. The “premium” API Series flowmeters provide for +/-0.15% linearity. This customer selected Hoffer flowmeters at both levels of linearity.They plan to use the premium +/-0.15% flowmeters as prover meters to calibrate the flowmeters that will be in daily use. Flow meter sizes ranged from 2 1/2″ through 4″. The flowmeters will be used primarily for loading rack service of light hydrocarbon products. Both road tanker and rail car load systems have been installed. Additional features sited by the customer in the selection process of the flowmeters were rugged construction and the hydraulically balanced rotor to eliminate thrust bearing friction. These features allow for superior linearity and long service life. This customer also specified that all instrumentation supplied was to be CE compliant. Hoffer was able to meet this requirement. 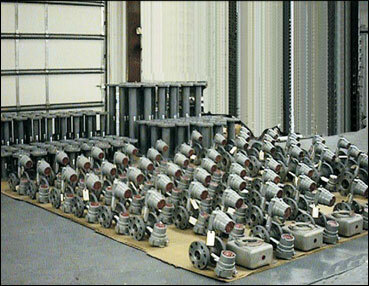 Hoffer Flow Controls has been supplying turbine flowmeters for over 45 years. Our expertise is in high performance flow measurement solutions. With representation worldwide, Hoffer customers enjoy the advantage of an extensive sales organization. Many of our products are available with local weights and measures approval for custody transfer. Think Hoffer, for your accurate fiscal metering requirements.